What a strange year. I went from working at a job I hated (and a boss who was evil incarnate) to working for a company I love. I went from running 500 miles and a couple of races to running 450 miles and 10 races. Weird! I would like to run at least 500 miles this year. 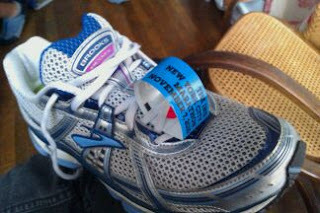 I would also like to keep running half marathons -- get a few more states under my shoes. I know we'll run a half in Alaska, but perhaps also Louisiana, Montana, Nevada... and??? Then, of course, there's the "fun" goal. I want to run fun races -- Bloomsday, Bay to Breakers, BBFR... just to remember the fun of running. Wasn't sure what to expect from the Seattle Half Marathon -- would I see anyone I knew? Would the weather hold? Would I finish at all? But I had a little breakfast and drove to lower Queen Anne in the dark. 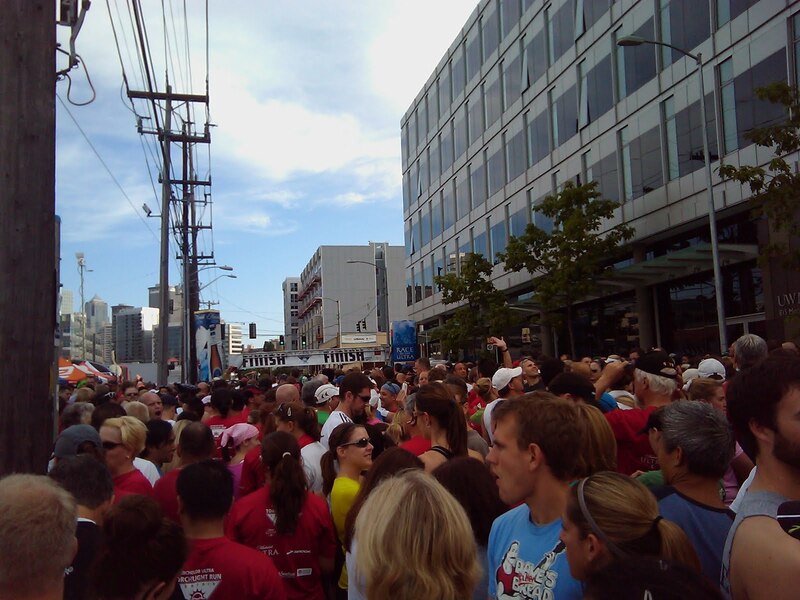 Got lucky -- found street parking just a couple of blocks from the Seattle Center, and walked towards the start. Got to the starting line with only 15 minutes to spare -- kinda awesome -- just in time to hear the national anthem sung and watch the marathon walkers head out. It was difficult to hear because one of the speakers cut out, but after the walkers left, a bunch of us climbed over the barriers and into the starting chute. The start was on 5th, at a point where there's a big foliage median, so most people just stuck on the near side. That seemed silly, so I and a handful of others climbed carefully through the bushes and onto the opposite side of the street. There I lounged in relative comfort, peeling off layers of "disposable" warm clothing and watching people on the other side crammed together. Very, very weird. A few minutes more and a different patriotic song was sung for good measure, and the gun fired. Guess it's time to start running... Moved forward, started my watch, and took off down 5th Avenue. The road was surprisingly uncrowded -- in part because people hadn't really spread out the width of the road -- and completely devoid of spectators. EMPTY. It was eerie -- felt a bit like a low-budget horror film, with everyone running down a city street away from some monster. 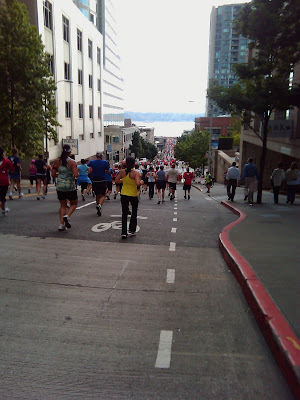 We ran up to the crest of 5th and then down down down through the International District and on to the I-90 bus lanes. Right before the lane something really odd happened. About 50 feet ahead of me a man suddenly fell. He got up, shaken, and kept running. The minute he was up, someone else fell in almost the same spot. Again, she recovered, got up, and then another person fell. It was if a poltergeist was sitting there tripping people. Kinda funny... even if I did approach the area thinking "Oh, please, don't pick on me..."
Ran out and into the dreaded tunnel -- much more pleasant without a shrieking band playing, I must admit. Or maybe just more pleasant because it happened to be the beginning of the race, rather than the end! At the end of the tunnel we halfers turned down the windy little path and onto Lake Washington Boulevard, while the fullers ran an out and back on the bridge, and then an out and back around Seward Park. I liked the pleasant run along the boulevard, noticing that the big portable storage pods had blossomed into water stops. It was also nice to run along the same route for a while -- made me feel good and confident for a few miles. Another turn, another hill -- this one Madison. I felt strangely turned around -- not realizing until we had headed back down and into Madison Valley where we were. We turned into the Arboretum for the pleasantest stretch of the course -- lovely winding streets, glorious trees, and autumn leaves. It was about this point that I first ran into "the mom". The first thing I noticed was her "Ironman Idaho Finisher" shirt. Hey, you finish an Ironman, you should wear the gear. Heck, wear your freakin' medal. I'm all over it. Then I noticed that she was running with a little girl... like, 10? She was also running with a teenage boy. At first I was totally impressed -- the little girl was still running strong. But we spent the next mile or so near each other and I heard them talking. I don't want to badmouth anyone's parenting skills, etc. etc., but wow. I guess everyone has seen or heard of stage moms, and overzealous parents in the bleachers at little league games, so why does it surprise me that the same thing exists in running? But hearing a child say "Oh, mile 9, that means we still have 4 to go...", and having the mom reply, "Just stop thinking about it. It's not that far, and we're not going fast." I hope the little girl continues to want to run and to enjoy running despite it all. Anyway, was relieved to leave them behind and continue on. Again, the course was fantastic -- all autumn leaves and quiet. 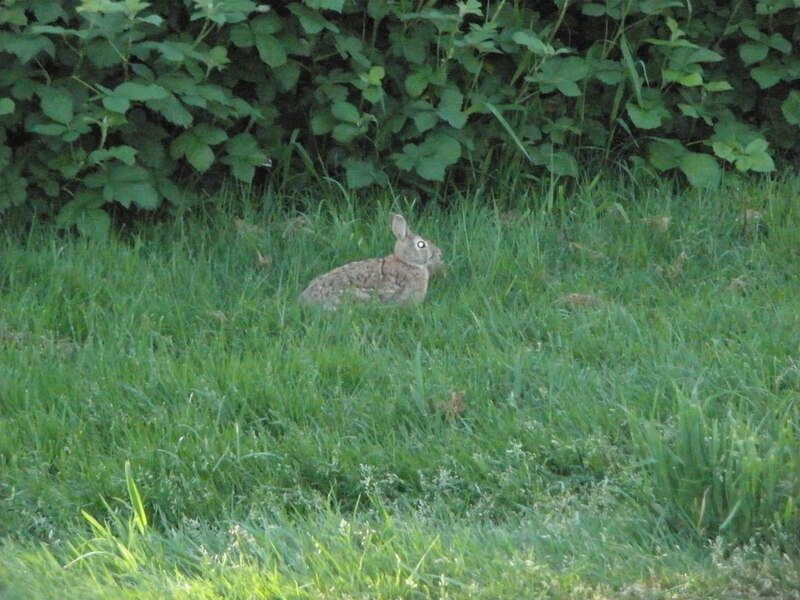 Then suddenly we popped out the other side and ran toward a the Roanoke freeway overpass. Then down under the freeway again, past the former site of the leaning townhouse (anyone else remember that?) and then back across I-5 again. That suddenly made it feel as if we were almost done, so I got a spring in my step again. 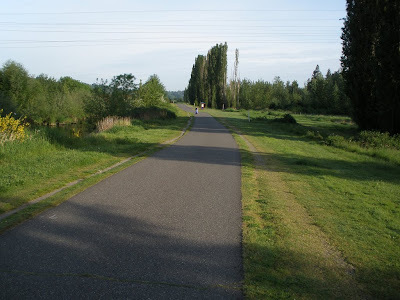 We turned down toward the Center, and over onto Mercer for that last down and up underpass. Lots of honking cars, which was nice. (Finally some support!) Then another couple of blocks up Mercer and over into the stadium. Fun to finish on the field turf. I suddenly realized I had been pretty much coasting for the last mile and decided to try to finish a little stronger -- clearly I had left something in the tank. Finished in 2:42:21 -- not my slowest, but one of my slowest. Still, it was faster than my time for the Ghost, so I'd achieved the basic goal. After crossing the line I got my medal (very pretty brushed silvery thing), gave up my timing anklet (weird! ), and picked up a space blanket from a pile. Wasn't quite sure where to go next -- but joined the zombie throng heading toward the exhibition hall. Out of the corner of my eye I saw some bottles of water, so went over and grabbed one, figuring that the rest of the water would be in the much touted "recovery area". Made my way into the crowded, noisy hall, and felt immediately overwhelmed. Lots of people, lots of lines, but no apparent food or drink. No, that's not true -- I saw some fruit cups surrounded by a throng. Weird. Part of the problem was that the food and drink were in the same building as the reunion area -- making it nearly impossible to navigate. I considered joining a line in case it led to a bagel or a banana, but then realized I was a 5-minute walk from the car and a 10-minute drive from home. So I wove through the crowd and out the door and was soon home. Overall the race was nice, though I missed the crowds of NYC and the music of RnR. But the course was pretty, the hills were manageable, and the scene in general was laid back. But the finish line was chaotic, the post-race food and water situation was a nightmare, and I doubt I'll run it again. Still, my main goal was to finish a double and move up to 4 Moon status in the Half Fanatics. Result! We had that snow just before Thanksgiving, and it wasn't really until Thursday afternoon when our street felt safe enough to drive on... so I had been wondering if I would be able to get to my races -- let alone complete them. But on Friday night I laid out my running gear, set an alarm, and decided to stop worrying. My race plan was simple -- meet a few of my fellow fanatics, finish the race, and save my legs for Sunday. Arrived in the area at about 7:35 for an 8am start. Since it was bitterly cold, I decided to just wait in my car. At about 7:45 I headed across the street to the park and joined the queue of folks checking in -- and registering. Got my number -- 22 -- and said how nice it was to race my age. Snort. We huddled around for a while -- chatting with other runners, a few fanatics, and eyeing the posse of maniacs, many (most?) of whom had already run two marathons in two days and were hungry for more. I think we had about 200 - 250 folks at the start. The race director (Chuck? Scott?) explained the course -- and the turnaround at the far end, and then we were off. I settled in with a group of people who were moving about my pace, slow and steady. We were quite bunched up, but the path was pretty wide and even so it wasn't any trouble. 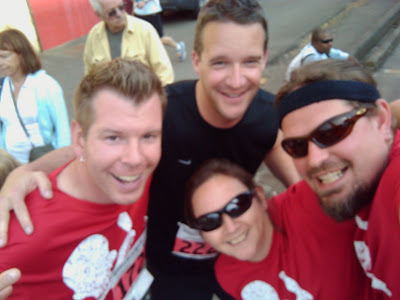 We ran down to Seward Park and then around the edge before heading back toward the start line. At some point on the way to the park a man pushing a double-wide running stroller sped past us. I overheard a woman near me say "Well, that's sure a slice of humble pie!" and we all laughed. 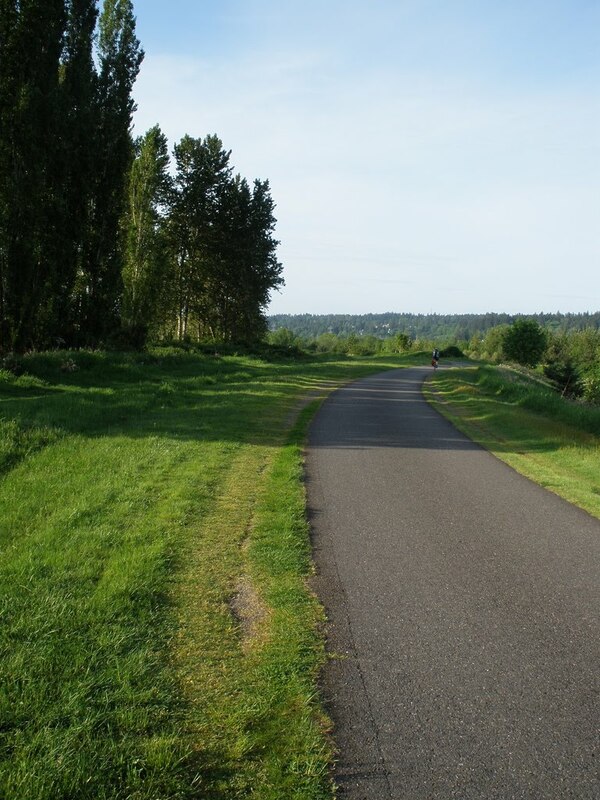 Then the course pretty much followed the lake all the way -- moving up the hill and back down to Leschi, of course. There was an aid station at mile 9 (?) near Leschi, which had great treats. Who doesn't love pretzels and gummi bears in the middle of a run? I had been feeling pretty good at this point -- running my standard 5:1s, walking the two small hills, and otherwise just humming along. The morning was cold but otherwise okay -- in fact, I started the race wearing a warm vest but left it back at the start when we passed through. I had passed a few people on the way out, most notably a group of teenagers who showed up that morning with their dads, sure that if their dads could run a marathon, they could knock one out too. Awesome! But the sky had brightened, I had good tunes on my iPod, so I just enjoyed a brisk walk back to the starting line.... almost. After the race a few of us stood around chatting and nibbling on crackers and treats at the finish line... until we were told that the REAL post-race food was up in the parking lot. A very impressive spread -- chicken noodle soup, vegetarian chili, hot dogs, sodas, juice, beer, and plenty of other treats. But I knew I had a lunch date with Wil so I had a soda, some pretzels, and headed home. The Ghost was fun -- and if I was looking for a supported run around that time of year, I'd choose it over the Seattle Half... a race with 250 folks is just so much more civilized! (Even if I did occasionally worry if I would come in last...) I do wish that there had been shirts, or medals, but the race helps the RD with a charitable donation, so I'm all for that. Completing the Ghost marked my 8th half marathon of the year -- bumping me up from one moon to two in my fanatics standings... so far, so good! So I got a little nutty. A couple of months ago on the Half Fanatics bulletin board someone posted the a message with the headline "THANKSGIVING WEEKEND QUAD IN SEATTLE!!!" It was like a car wreck -- I couldn't NOT read it. And then start daydreaming about it. 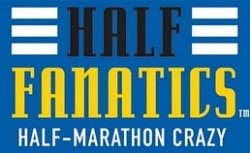 Four half marathons in four days? Insane! But interesting! Fortunately, probably, the race director of the third race decided not to offer a half marathon option (despite being a loop course...) -- so I put it from my mind. 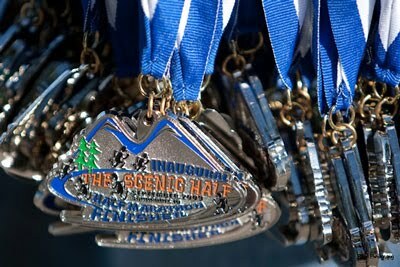 But I did keep thinking about doing a double: the Ghost of Seattle on Saturday, and the Seattle Half on Sunday. 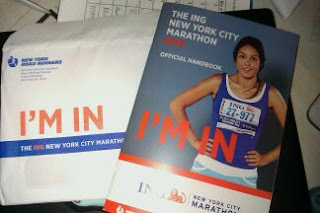 Would I be ready to run 13.1 3 weeks after the NYC Marathon? And another 13.1 the day after that? I wasn't sure. So I printed out the application for the Ghost, and filled out the application for the Seattle Half, and pondered. We came home from NYC and I felt okay within a few days... so I decided to just go for it. Why not? Snowstorm on Monday -- and the resulting 4+ hour commute -- made me extra glad for the snow day on Tuesday... and hesitant to drive into the office on Wednesday. More snow Wednesday night meant I wasn't super keen on braving the roads for our family get together for Thanksgiving / Charley's birthday. Instead, we hunkered down, watched Glee, and had a little feast of our own. Very cozy. We had unfortunately been assigned to the "Green" course.... which meant that we didn't get to run across the top of the Verrazano-Narrows Bridge... you know, the famous picture of the masses of runners streaming across it? Well, we were on the lower deck. Bummer. So we started the race with the biggest hill of the race -- up up up to the apex of the big bridge. I remembered sailing under it on the QE2 years ago, so I knew how high it must have been. As it was just past the start, things were pretty crowded so we just kept moving. The wind at that altitude was very strong, too -- making the bridge the single coldest point of the race. We may have actually been better off on the lower deck... then again, we didn't have the sunshine. But soon we were on the downhill slope, and saying farewell to Staten Island... how nice to get one borough completed so quickly! On into Brooklyn, where we ran on an expressway for a while, before winding our way up to 4th avenue. The whole way we were greeted by cheering crowds, but 4th avenue was special. Tons of kids -- which led to lots and lots of high-fiving -- and plenty of music and dancing. By this point I was warm and loose and feeling surprisingly good for not having run a step in 4 weeks. At one point we met up with a woman called Lizzie, visiting from Ireland to run her tenth NYC Marathon. We chatted with her for a while and she asked if she could run with us because she wanted to finish in 5:30. Of course, we had no idea what we were planning on -- and apparently at that point were well ahead of a 5:30 pace -- so we went our separate ways. On we went, at one point passing a band that looked suspiciously like Blues Traveler (who were also playing a show that night). But who knows? I will say that, while there were lots of bands along the route, there weren't nearly as many as along a Rock 'n' Roll marathon route. Then again, there were exponentially more fans, so what's more important? Finally, at mile 8 all three courses blended and we ran as one. Again, felt really good here. We were passing people and being passed, but for the most part moving slightly faster than the people around us. We turned on Lafayette and passed several houses with parties and barbecues in their front yards. It was clear that people treated the race as a huge rolling block party -- as an event to be celebrated rather than an annoyance to be tolerated. Well, until we turned into Williamsburg, a traditionally Hasidic neighborhood that has requested that the race be routed around them. So it was pretty quiet through there -- though we did see a couple of young mothers with their children sitting on stoops, smiling shyly. Then a couple more turns and we were headed to the Pulaski bridge, crossing into Queens. We had spent much of Brooklyn running near the Blues Brothers, and stopped to snap photos of them (and they of us) as we crossed the bridge with the gorgeous Manhattan skyline in the distance. We crossed the halfway point in 2:36, a completely acceptable half marathon time for us, and I still felt remarkably good. To be frank, I don't have a lot of memories of Queens, good or bad. I seem to recall passing streets lined with shops (rather than residential streets), but perhaps that was actually in Brooklyn. Who knows?!? I also remember sighting "TNT Elvis" -- a guy who raises money for Team in Training and runs in an Elvis jumpsuit. (Duh, right? What else would TNT Elvis wear?) The nicest touch is that the sequins are all purple and green. Sweet. We just kept running and running, and suddenly headed onto the Queensboro bridge. Three boroughs down, two to go. Queensboro was a steep hill up as well -- we weren't the only ones who decided just to walk the whole way up. (It's always a bit amusing to pass people "running" while you're walking up a hill.) I laughed because it reminded me of scenes from Grand Theft Auto 3 Liberty City. Except the police weren't chasing us. Which is a good thing, because it would have been difficult to elude them. We came down the super-steep bridge ramp and hit Manhattan for the first time. A roar came off the crowd, someone shouted "Welcome to Manhattan! Three down, two to go!" and we all whooped. One woman -- a short but broad woman built a tiny bit like Sponge Bob -- who we had been with since Brooklyn (seriously), with "Moskie" or something like that on her shirt, snarled, "Yeah, but it's not First Avenue yet." I had always been told that running down First Avenue in Manhattan is a huge thrill -- that the screaming crowds are 6 or 7 deep for blocks and blocks. But I figured that while that might be true for the frontrunners -- or even the medium runners -- that it wouldn't be true for us slow but steady types. Boy, was I wrong. The wall of sound that came off the people was amazing -- people packed up against the barricades on both sides of the street, just shouting and cheering. It completely perked me up. That said, First Avenue stretched on and on and on...but at least it felt mainly like a long, slow downhill slide to the Bronx. We crossed back into Manhattan in Harlem -- and were greeted by gospel choirs, lots of friendly faces, and little old ladies handing out paper towels. I think it all caught up to me right around this point. I nearly tripped over one of those cord-cover things... which made me realize I wasn't picking up my feet at all. That said, I knew that with under 5 miles to go, I would finish, so it wasn't as if I was worried... I was just tired. A few turns to skirt a park and we started heading up 5th Avenue. My fatigue had really hit me at this point. And the crowds were certainly thinner as we approached the park. And did I mention that it's essentially one long hill? I had slowly reduced our pace from our standard 5:1s to 3:1s and now 2:1s... but by the time we hit the last few blocks before the park I was pretty much just walking. Again, I was tired, but I knew I would finish, so I was okay. Not sure if that makes sense... but it's how I felt. We turned in to Central Park near the reservoir and ran on the downhills and walked on the uphills. Wil was awesome, as usual, and kept me moving -- and smiling -- the whole way. We passed the 40 km marker... and shortly thereafter the 25 mile marker, and felt buoyed by them. Not buoyed enough to run, mind you, but happy. We left the park for the little stretch along Central Park South and headed past some real troopers -- I mean, those people just have been there for hours. We also were joined by a man wearing a Spider-Man outfit at this point, oddly enough. Then the turn at Columbus Circle and back into the park. Usually at the end of a race you see the "13 mile" or the "26 mile" mark and, no matter how bad you feel, you can pick yourself up for a "sprint" to the finish. I always think back to the guy at my first triathlon -- a sub-elite so much faster than me that he was returning from his bike leg before I even got on my bike... and was packing up when I was going out for my run. He looked at me and said, "Leave nothing in the tank" -- which Wil and I always say to each other as we hold hands and run across the line. Then I remember space blankets -- glorious mylar heat sheets -- which we all tied on in a variety of styles. Then we were handed bags of food -- none of this picking slowly through boxes of bagels. Nope -- here's your bag of food, now move along. Perfectly efficient! We had to trudge a very long way, and people were moving very very slowly. It was also getting cold very quickly. See, between the time change and the late start, one of my goals (besides just finishing) was to finish before sunset. We managed that, but it took us so long to get out of the park, that by the time we emerged into the street it was dark and very cold. One really nice post-race story -- Wil overheard a man ask a woman if he could borrow her phone. She hesitated and then said no... but then felt bad and explained that it's because she was from New Zealand, and it was one thing to pay international roaming to call her mom, but another to give the phone to a stranger. Wil volunteered his phone, and the man made a quick call. We asked him how his race went, and he said he'd been a bit slower than he had hoped -- and that he had gotten separated from his girlfriend, but that they had made arrangements to meet and he was just confirming. We told him congratulations, and he said something about we didn't know how appropriate that was. We hesitated -- was he a heart-transplant-recipient? An amputee? A cancer survivor? 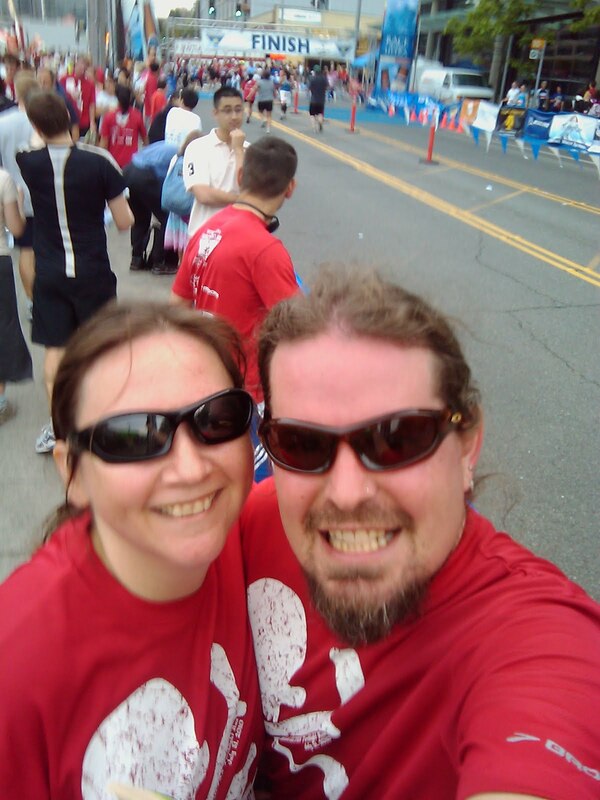 He saw our hesitation and said, "Oh, well, I was hoping to finish with my girlfriend and propose at the finish line." Awww. We wished him all the best, and went our separate ways. On the way back to the apartment we passed some young Brits, who said, "How are you walking normally?!?" Ah, practice. Just practice. We went home, had showers, and headed out for our well-earned massages. Fantastic day! When I think about the race I'll always remember the sound of the crowd, the amazing numbers of cups at the giant water stops, running in a huge group, and the feeling that you were in a city that LOVED the marathon. I don't expect to run the race again-- heck, I don't expect to run another full marathon! -- but I am thrilled to have run what has to be one of the world's greatest races. 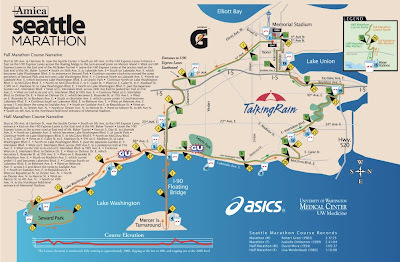 For posterity (or as least as long as the link is live...), here's the course map of the 2011 NYC Marathon. So my training hadn't been optimal, and my "taper" had been more of a "drop", but after all the hustle it took to get bibs for the race -- including raising over $3000 with a lot of help from my friends! -- I wasn't going to skip the race. We got into town on Friday at 5 -- and realized that if we hustled we could get to the expo before it shut at 8 and get our numbers, shirts, etc. Expo was very different than any others I had ever visited -- huge, sprawling place, with lots of large exhibitors and very few "little guys". Or maybe we just didn't see the little guys? Big pretty Brooks shop -- nice! Also interesting to compare and contrast what Asics (the official sponsor) and Nike did. Asics had all the official gear, of course, but I wasn't that impressed. Nike had all the "bandit" gear that said "NYC 26.2" -- sneaky! We checked in at the Nike+ counter, and were given special NYC 26.2 sportbands (minus the sensor). Very cool. Oh, also at expo we got the very good news that we didn't have to be at the ferry terminal until 7:30 and 7:45 -- much more sensible than 5:30 and 5:45! We spent way too long on our feet on Saturday, but still managed to get to bed early. And with the time change (and the ferry change) we didn't have to get up until 6am, so it wasn't too hard to get moving. We got up, got dressed, put breakfast in a bag and headed to the subway. Funny to get on board a train and see a lot of people dressed like you. :) We were, of course, layered up with our disposable warm clothes -- and astounded by the people who were in shorts and singlets. Really? I mean, really? We chatted with a very friendly guy named Eddie, who was astounded by the marathon and wished us good luck. We had to leave the subway and take a shuttle bus for the last few stations -- a bus crammed with runners. Awesome. Then into the Staten Island Ferry terminal, where we crowded in to a busy departure hall. No one checked our "assignments" -- it was clear that they just wanted to get people onto boats as quickly as possible. After about 15 minutes, a ferry arrived -- and we all filed onto it. Wil and I headed up to the upper deck -- glorious in the bright sunshine -- and settled in to enjoy our cruise. 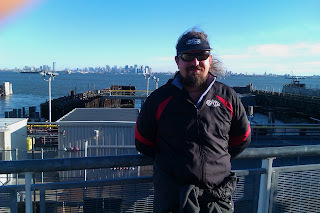 I was amazed at how long it took to get to Staten Island... and humbled at the realization that we would be running all the way back and then some! Upon landing at Staten Island, we took our time getting off the boat (no sense in queuing up! ), and were welcomed by a throng of volunteers. We stopped to take a couple of pictures of the Manhattan skyline in the distance. Then onto buses that took us the last few miles to Fort Wadsworth. We seemed to arrive at just the right time -- in a gap between buses -- which meant that we got off the bus to discover a line of clean, empty porta potties. There was a strange pause -- what were those strange, line-free things? -- and then we all headed over to them. Within minutes other buses arrived and long lines formed. Clearly, the marathon gods were on our side. We then moved to the "Race Village" entrance... and faced lines of security guards and then armed soldiers all shouting "SHOW ME YOUR NUMBER!". That gauntlet cleared, things were easier. We walked and walked until we found our Green village... and realized that a lot of people had still been told to be on the ferry at 5:30. Yikes. Wil got some coffee and we found a quiet spot to have a rest. We had over an hour before our corrals opened, so we just ate our breakfasts and relaxed. It was cold but the sun was shining and the day was bright. Perfect! We decided to move to a more central location in the village 15 minutes before our corrals opened -- just in time to see the male elites and wave 1 start. It was amazing to hear a roar and suddenly see people appearing on the bridge. We whooped and waved ... and then laughed at the men stopping to pee on the bridge. Soon after, our corrals opened... and the second wave moved into the starting pen. They left, we moved into the pens, and tried to avoid twisting an ankle on the piles of discarded clothing. I had the same surreal feeling I often do before races -- was this really happening? 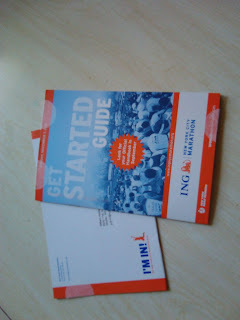 Was I about to start running a MARATHON? To be honest, part of me still worries that I've just dreamt all of this, and that I'm going to wake up and face race morning again! But we were waved forward into the starting chute, and with a cannon shot, we were on our way. Trance tagged and ready to go! 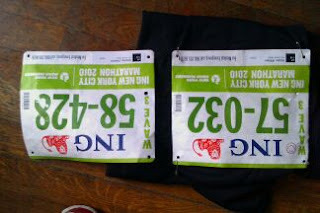 Bibs!!! Not sure why the pic remains stubbornly upside down, though. I wasn't sure I wanted to write about this, but in quiet moments (stuck in traffic, bored in meetings) I seem to have been writing this post for a couple of days now. So here goes. I've been feeling really run-down and sluggish for a couple of weeks. I wasn't sure what was happening -- was it just the change of seasons? Was I coming down with something? Was I just not sleeping well on the new mattress? I started getting that weird "flu" feeling -- you know, the one where your skin hurts? I was cold a lot, but didn't seem to be running a fever. I chalked it up to a cold house and a cold office. Then we went to see our friend Jen's son Lee play in his "senior appreciation" football game.... a dry but very cold night. By the time we got home, I felt weirdly tingly along my back, and noticed two "bites" on my lower back. I thought perhaps I had been bitten by something at the game, since we were sitting outside for a couple of hours. The next morning I had several other "bites" all in a line on my leg. We began to wonder if I had somehow trapped a spider or a mosquito or something in my PJs and it had just stung and stung and stung. The bites were a little itchy, but also incredibly painful. And they sort-of burned. Like that feeling when you burn yourself with an iron, but lingering. Sunday morning I noticed more "bites", this time on my tummy. Things were weirder and weirder. We stripped the bed, washed all the PJs and linens, and fretted a little. But from then on no more "bites", so we just let it go. Friday afternoon -- a week after first noticing the "bites" -- I called my doctor and made an appointment for the next morning. I had to see a different doc -- mine wasn't working on Saturday -- and while talking about how tired I was, and chatting about iron and so on, I mentioned the "bites". That morning I had noticed that the bites on my leg were in a line -- not all in a row, but they created a definite line pattern. I told the doctor how weird I thought it was, and he said, "Hmm. Show me." So I showed him my "bites" and he said. "Wow. You're a textbook example of shingles." Now, one of my favorite things to say in response to questions about whether we plan on having children is that I didn't like kids when I was a kid myself. I've always thought of myself as a curmudgeon -- an "early bloomer". But all I knew about shingles was from reading the big signs at the Walgreens: "If you're 60 or over, you should get the shingles vaccine." How could I get shingles? I stood there, stunned, and finally managed to ask, "Umm, how did I *get* shingles?" The doc said, "Well, you had chicken pox as a child, I assume?" When I nodded, he said, "Well, then you've had the virus dormant in you since then. No one really knows what activates it." He told me how the virus follows nerve pathways, and when reactivated it travels up the nerve roots to the area of skin supplied by those specific nerve roots. That's why you get those "lines" or "belts" of a rash. He also assured me that I'm not contagious -- a big relief. (Oh, I suppose I should note that if someone who had never had chicken pox touched the rash itself they might develop chicken pox. So keep your children away from my thigh if you're worried.) Glad that I don't have to quarantine myself. In other good news, I have had a very very light case -- I've only got the rash in three small patches. And while it hurts and burns, it's not some huge gakky thing. Thank heavens. Or perhaps I just haven't had the "blister and pus" period yet. Fingers crossed. But in bad news, I went in for treatment too late to "nip it in the bud", apparently. If caught in the first 48 hours it's possible to lessen the attack with a dose of vaccine. But who would have thought I would get SHINGLES at 41??? So I'm left with ibuprofen for pain and Caladryl lotion for itch. Sigh. I do still feel some relief knowing WHY I've been feeling so run-down... even if I still feel run down. But, weirdly, I also feel embarrassed about having shingles. Not sure why. The doc told me to take it easy for a couple of weeks... a bit challenging when the race is next weekend. People have asked if I was going to have to drop out of the race. But I'm no Ryan Hall or Chrissie Wellington. Those sorts of folks can only really be at the top of their game a couple of times per year. But since I don't make my living from the racing, I can "throw away" the effort on just getting myself through it. I'm also not someone who doesn't want to be out there if I can't be my absolute best. I just want to be out there to experience it. Even though I dread the trip to the "start village" (on the Staten Island Ferry at 5:30 for a 10:20 start? Umm, okay....), I'm excited to stand in the corrals at the largest marathon in the world. I hope that I'll feed off the energy of my fellow runners. I expect that I'll finish -- even if my "taper" has been a bit severe, and if I'm not 100%. We'll just gut our way through it. It's been 30 years since Terry Fox had to end his Marathon of Hope -- where he ran 26 miles nearly every day for 143 days in an attempt to run across Canada to raise money for cancer research. Running a marathon is hard enough -- but running on a prosthetic leg, and running every day for months and months? I can't imagine the strength and determination Terry must have had. I have faint childhood memories of Terry's run -- and I remember when he had to stop, somewhere near Thunder Bay, Ontario, after running over 3000 miles. The cancer that took his leg had spread to his lungs. 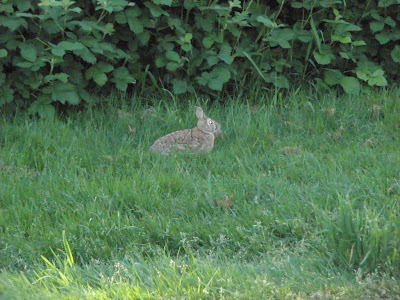 The image of him running -- with the hop-hop-step gait he had to adopt to give the springs in his leg time to reset -- has stayed with me for years. 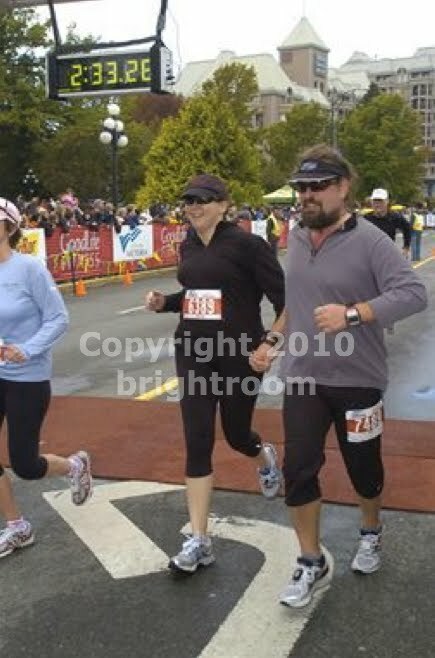 What I also remember is that -- though the running was so painful he said it took him about 20 minutes to "cross a pain threshhold" so the run became easier -- he also loved being out there running every day. After he had been forced to end his run, Terry told a reporter "I loved it. I enjoyed myself so much, and that was what people couldn't realize. They thought I was going through a nightmare, running all day long.... Maybe I was, partly, but still I was doing what I wanted.... Even though it was so difficult, there was not another thing in the world I would rather have been doing." 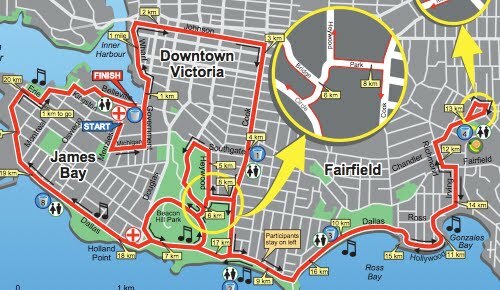 This weekend is Terry Fox Run Day. 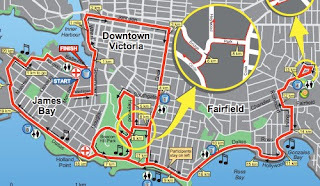 All over Canada, people gather to raise money and run in honor of the man who in 2004 was voted the second greatest Canadian of all time in any field by his countrymen. It's sad that, apart from a run planned in New York in October, there don't seem to be any Terry Fox Runs in the U.S.
Care to learn more about Terry Fox? This great article ran in Runner's World back in 2007. I re-read it today over lunch, and sat there quietly sniffling. But also feeling very inspired. Terry died on June 28, 1981. Next year's Seattle Rock and Roll Marathon/Half Marathon is three days before the 30th anniversary of his death. Anyone else up for running in Terry's memory next year? However, in the end, it was fine. Patrick, the trainer, was tough but focused. We started out inside (Body composition measurement! Eek!) to warm up, then headed outside for some drills, and then came back inside for weights, exercise balls, and a dazzling array of "planks". The cardio wasn't a challenge for me (huzzah! ), but I suspect my abs will be painful tomorrow... and that I will struggle to raise my arms as well. My fellow "campers" are all nice, with a decent range of abilities and levels of competitiveness. I admit it, I used to run in Saucony. But now that I'm with Brooks, it was time to switch footwear. I had a pair of the Cascadia trail runners, but let's face it, I don't run on trails very often, so I have barely broken them in. 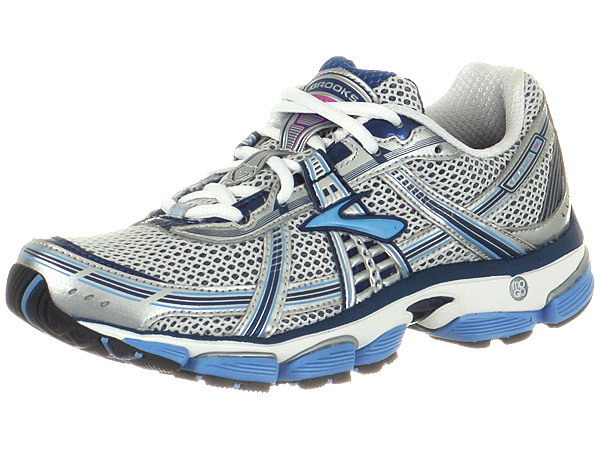 So this is my first road run in Brooks shoes -- the Trance 9 to be specific. We headed out early -- hoping to beat the rain -- and headed out to the lookout (via the "triangle" for extra mileage), then down down down to the Locks, and then along Market to 14th and up the hill to home. My feet felt pleasantly cushioned -- after all, Brooks calls these shoes "Cadillacs" -- and I felt good throughout the 6ish miles. I'll probably add some Superfeet in, but I'm really happy with the new kicks. Undertrained? Who cares! We were going back to the Disneyland to run the 5th annual Disneyland Half Marathon! We left work early on Friday to catch a 4:30 flight, landing in the small but perfectly formed Santa Ana/Orange County/John Wayne/SNA airport a little past seven. We rushed out to see the Disneyland Express bus pulling out, but jumped in a taxi because we needed to get to the expo before 8. We told the cabby "Disneyland Hotel" (the site of the expo) and were asked "Do you know the name or address of the hotel?". This was our first clue that things might not go so well. Thank heavens for smartphones and GPS -- we were able to play the role of navigator and arrive safely... and in time... even if it took a Very Long Time to pay the young man... long enough that Disneyland Hotel staff came out and asked us to move along. Oops. Then into the lower level to pick up our race packets, and were directed to a special "Coast to Coast Challenge" area. I'll admit it -- the main reason we were running this race again was the Coast to Coast medal. I mean, if I'm going to run a half and a full back to back to get a bonus medal, you can be darn sure I'm going to run another half to get another bonus medal. We got our numbers and our wristbands with instructions not to remove them until after the race on Sunday. Easy peasy. Up the ramp (on that glorious "track" carpet that makes me smile when I see it) and into the expo hall, which was much less crowded. We walked up to the shirt pickup -- no line at all -- and got this year's shirts. Well, let's just say I won't be wearing it again... but I bet some people were thrilled it was bright bright blue. By this point it was almost 8:00, so we didn't linger in the expo but made a beeline for the official merch. There wasn't as much glitter this year, thank heavens, but in exchange many pieces had silvery foil on them. I was easily able to resist all the clothing again, but Wil picked up a race tank... complete with silvery foil "confetti" on it. Sparkly! And of course we got our souvenir glasses... and at the checkout they had another pin. Was pleased to keep the craziness in check a little. Then we hurried through Downtown Disney, across the plaza (accompanied by a castmember for security purposes who didn't live up to her title as "runner" -- she couldn't breathe as we walked quickly across), and over to our lovely little hotel. We checked into our favorite room, dropped off our things, and then went back over to the park. That night and the next day we wandered around the parks, lounged by the pool, and smiled and laughed a lot. I had forgotten how much I love the parks. Saturday night we tried and failed to go to bed early, and both of us slept freakishly badly. I don't think I've ever slept so badly the night before a race. Weird! So it was something of a relief to get up at 5am on Sunday. On race day we were out the door by 5:20, nibbling bread and cheese or peanut butter, gradually joining other runners making the same trek to the start. We saw a cute, nervous couple with their bibs pinned on their backs. They stood next to us at a crosswalk, looked at us, and the woman said, "See, they've got them on the front... I TOLD you." By the time the light changed, they had the numbers off and were getting ready to re-pin them on their fronts. The organizers had obviously told people to move into the corrals... which meant that there was no one in the queues for the portaloos. Eerie. It was about 5:45 at this point. So we made a last pit stop and then tried to find our corral. This year we had been placed in corral D... but it really wasn't clear how one was supposed to get to it. We milled around for a few minutes, saw no organization at all, so just nipped in to corral C through a break in the fence. Very, very strange. The corral was pretty roomy, and the sky was just starting to change. They decided to reduce crowding through the parks by allowing 5 minutes between corral waves. This must have worked; there was no point when I thought things were too crowded. The wheelchair athletes were first; they got a countdown and then... weird green "fireworks" -- that were really just electric lights. Some grumbling in the corral that that wasn't very sporting, not having proper fireworks for the wheelers, etc. ; so imagine our surprise when the elites went and also just got green flashes. More than one person around us said how weird it was not to start with fireworks. One interesting change: rather than a start banner, they had a massive led screen that switched from "start" to "corral A" to an animated "celebration" pattern at each start. We were really only in the corral for 10 minutes before the start (or 20 minutes before our wave started), so there wasn't a lot of time to chatter. But of course we took the requisite pre-race photo. Then, suddenly, we were off. Quick glimpse of Mickey, Minnie, and... was that Jeff Galloway? 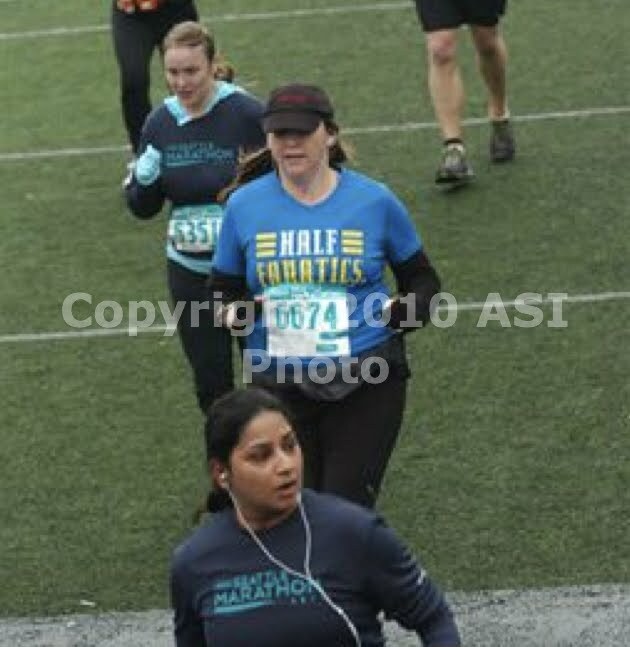 I was running my first event with a Half Fanatics shirt on (yes, I'm a dork...) and he called it out as we ran past. Loved the changes to the course this year -- we ran around the outside of the park first, and then turned in "backstage" at California Adventure. Was excited when I realized that the World of Color fountains were on -- not as impressive as the actual show, of course, but really pretty! We ran all around the lagoon and then out of DCA, crossing the big plaza that was lined with people. Weirdly, most people were silent, just watching for their own runners. C'mon fans, it's not gonna hurt you to cheer for other people. I shouted, "Hey, it's pretty quiet out here -- let's make some noise" and everyone started whooping. Weird. Then into Disneyland... and up Main Street USA. Glorious! Loved that -- I had really been disappointed that we didn't get to run up the street last year, so it was a great improvement. Then a twisty route through a lot of the rest of the park: through Frontierland, past the Rivers of America into Fantasyland, through the castle (where we all booed at Maleficent, standing on the balcony), and a loop through Tomorrowland, around the Matterhorn, past It's a Small World, and then backstage. Weird to see the train just standing next to a building backstage -- makes you realize that it's not full-sized at all. All too quickly, of course, we were out of the parks and into bleak Anaheim. Not much else to report other than that we didn't have to loop around the parking lot at the Pond (or whatever it's called now...), that the "river" was just as dusty and dry as last year (and the bikers were just as sad to find the trail blocked...), that this year the Angels ballgirls stood at home plate and cheered everyone on in the stadium, that the tunnel near the end was deafeningly full of shrieking cheerleaders, that we no longer ran through the tiny archway before mile 12, that we didn't go back into DCA at the end, and that Jeff Galloway was at the finish line, too. 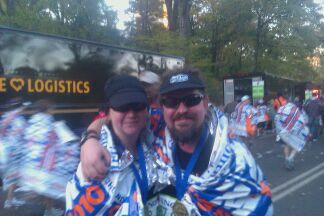 We got a shout out from Galloway as we came down the finish chute, crossing the finish line holding hands. We collected our race medal (which, sigh, looks like a 5K medal at a glance....) and our Coast to Coast medal, got "Chill" towels again (heaven! ), got snacks and drinks, and then stretched for a bit in the pen. All in all, a nice event, but it's probably our last time doing it. Who knows... never say never, right? 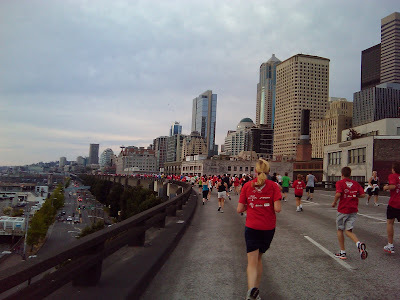 Lovely things I remember: the "big hill" (the overpass) was brightened by a lovely woman in a Buzz Lightyear costume, earning her race karma by calling out runners' names to urge them up the slope. Got love from a half fanatic supporter twice along the course -- love wearing the "team" shirt! Also ran with/passed a couple of other fanatics. Nice to have that camaraderie. Some kids had made "snack cups" with a handful of mini pretzels and 4 Red Vines each and were handing them out somewhere around mile 11. Fantastic! On our way back to our hotel, medals clanking, we had to cross the route, but earned some race karma for ourselves by standing there for a while, cheering the runners on. It was great to see people perk up when we could tell them, totally truthfully, that the 12-mile mark was just across the street, through the arch, and around the corner. We showered off the salt, had a little nap, and then a great lunch with Gretchen and Rick -- yay! 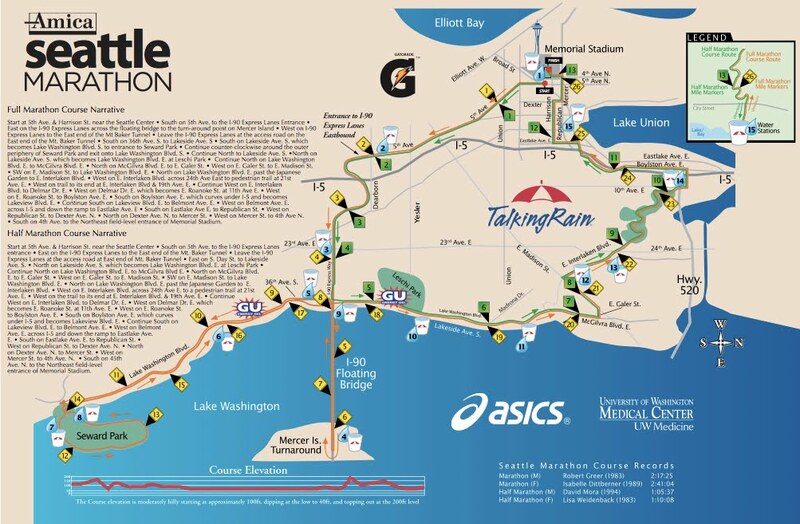 Because I like to save these sort of things, this is the 2010 Disneyland Half Marathon course map. SUNNY DELANEY @ Finish in 02:36:23 (NET). Pace: 11:55. Sponsored by Disneyland Half Marathon. WIL HOLDER @ Finish in 02:36:22 (NET). Pace: 11:55. Sponsored by Disneyland Half Marathon. SUNNY DELANEY @ 15K in 01:48:46 (NET). Pace: 11:39. Predicted: 2:32:56. Sponsored by Disneyland Half Marathon. WIL HOLDER @ 15K in 01:48:45 (NET). Pace: 11:39. Predicted: 2:32:55. Sponsored by Disneyland Half Marathon. SUNNY DELANEY @ 10K in 01:13:14 (NET). Pace: 11:47. Predicted: 2:34:29. Sponsored by Disneyland Half Marathon. WIL HOLDER @ 10K in 01:13:12 (NET). Pace: 11:46. Predicted: 2:34:25. Sponsored by Disneyland Half Marathon. WIL HOLDER @ 5K in 00:37:01 (NET). Pace: 11:54. Predicted: 2:36:05. Sponsored by Disneyland Half Marathon. SUNNY DELANEY @ 5K in 00:37:02 (NET). Pace: 11:54. Predicted: 2:36:09. Sponsored by Disneyland Half Marathon. Today was another of our famous Long Slow Distance runs.... 10 miles down to and around the Cheshiahud Loop. Wil was a superstar, as usual, and took off at such a fast pace that I thought I was going to be sick. This provided me with a great little distraction as we zipped along... "Ooh, I think I will be sick.... should I stop? Should I slow down? What happens if I do throw up? Well, I'll just keep going, I suppose... Ooh, might be sick... good to try and run through it... that would be very brave...."
Eventually, at around mile 3, my stomach had settled enough that I needed to find something else to distract me. Deliverance arrived in the form of a tiny French bulldog puppy, all fawn-colored (not even a dark face), accompanied by his humans -- two charming gentlemen strolling in their pajamas. The puppy spotted us, stopped cold, and when we got close, started running along with us. Adorable. I've never seen a Frenchie that color -- a lovely pale beige color, with a very sweet face. Adorable! I spent the next mile or so imagining a doggie like that living with us, cuddling with the cats, wagging his tiny tail when we got home. But I don't think we have a dog-friendly lifestyle. We rounded the bottom of the lake as the purple S.L.U. Trolley sped past us. I know that the sidewalk is set at a "safe distance" from the trolleys, but they do seem to come very close! Felt pretty strong until the "big hill" -- I ran halfway, but then stopped at the steep bit. Wil, however, powered all the way up. Bless. Not much more to report -- we ran across the University Bridge, over to the Burke-Gilman Trail, and then through Fremont to home. Felt pretty strong the whole way, and very confident going in to Disneyland next weekend. Coast to Coast Medal here we come! In only vaguely related news, I start my new job at Brooks on Monday -- very exciting! After seeing Wil off this morning for his bicycle commute, I had an idea. It's not very often than I REALLY feel like running. Usually I feel like I should run, or at least I know that I'll be really happy when I finish running. And often I just don't want to run. We should have run this weekend -- but after a rough night with squabbling cats on Friday, we both woke up tired and worn out. And then on Sunday, we woke up to pouring rain -- the first real rain in weeks. So that kept us off the roads, too. But this morning was glorious -- a perfect Seattle day. A little crisp, even chilly in the early morning, but the sky was clear and blue and the sun rising. I had a piece of toast and got myself ready to run. I wasn't quite sure where -- or how long -- I wanted to run. 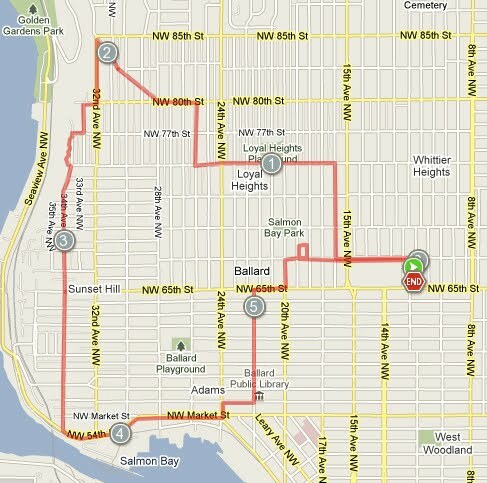 I decided that I would run down to Fremont and, if feeling good, I would attempt the Lake Union loop. I'm happy to report that I felt great -- again, the cool morning certainly helped! I ran counter-clockwise around the lake, spending much of the time enjoying the weather, this beautiful city, and meeting a handful of runners, a few tourists, and a gaggle of commuters -- some waiting for the Trolley, others zipping past me on bikes. By the time I reached the big hill, I was feeling loose and comfortable... but I still ended up walking up the hill. I reminded myself that this was a long, slow run, so I wanted to take it easy. Ran across the bridge and around the corner on to the Burke Gilman Trail. I started to feel a bit tired... more bored than tired, really... but was happy to reach Gasworks Park and know that I only had a mile or so to go. I amused myself during this stretch by thinking about the renaissance fair we went to on Saturday (no, we weren't in costume...) and my surprise at being given dollar coins as change in the Red Dragon Pub. I had NO IDEA that there were new dollar coins coming out, or that they would have all the presidents on them. So being handed three golden coins with James Buchanan's face on them was pretty confusing. At first I thought that maybe they were souvenir "Fair" coins, but they had a very fine Statue of Liberty on the back, so I realized they were real. I know that I'm not exactly a numismatics geek or anything, but it was surprising to see a new coin in the flesh before I had even heard of it. Plodded on until I had passed Fremont and reached the Fred Meyer, doing a tiny sprint and Rocky-style arms in the air at the 10-mile mark. Yeah, I'm that much of a dork. Went out for our long run today -- an 8-miler. Was thrilled that today was cool and misty -- my favorite running conditions. 60 degrees? Perfect. I had plotted out a route up to the lookout then down to and across the locks, up to Gilman, then across Dravus and back across the Ballard Bridge, past the hate church and then home. Wil didn't want to end on an uphill, so we ran the other direction... which seemed to be ALL uphill... except for the very beginning, and the very end. Still, we plodded through it. I had a weird series of cramps in my right leg. First the right calf, then the right shin, and then the arch of my right foot. Weird. Clearly I just kept trying to shift my gait enough to stop one pain... and therefore created another. Oh well. Took a little restroom break at the Locks, and then powered up the long long hill to the lookout. Managed not to hurl, but sucked plenty of wind. Oof. We needed to do a few twists and turns to get to 8 miles, so ended up with some extra hills at the end... but made it home just fine. 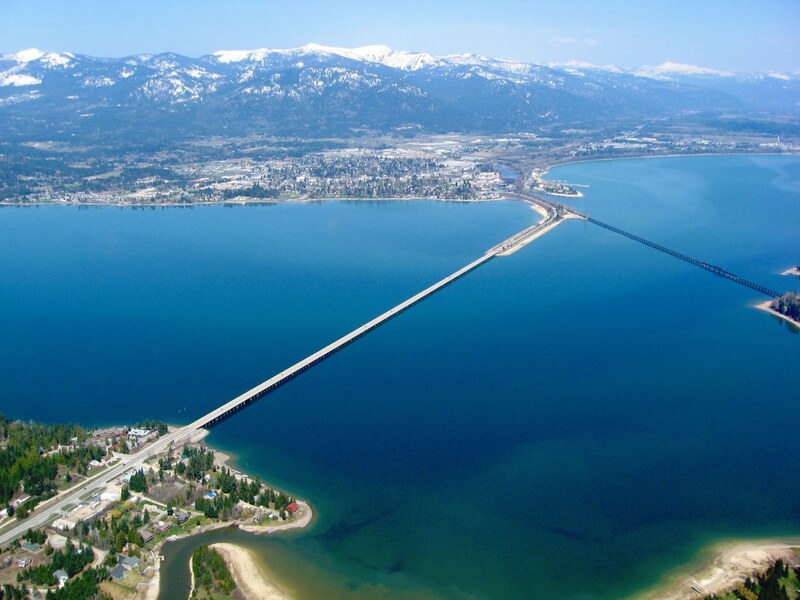 Next week we hit 10 -- which means we get to run my favorite running route -- down the trail to Fremont, around the lake, and then home. Yay! Well, I missed my mileage goal for July -- but at least I was close this month! I feel as if I have perhaps turned a corner and will be able to get myself moving again. I sure hope so! I did, however, do well with my fundraising for Girls on the Run -- great to cross the $1000 mark already. There's still a long way to go, but I feel more positive about it than I did at the outset. Other good things from July -- FINALLY getting the treadmill moved (though I STILL haven't gone up to Picnic when they're open to buy the thank-you bubbly!). Running my first Torchlight Run and actually enjoying it. 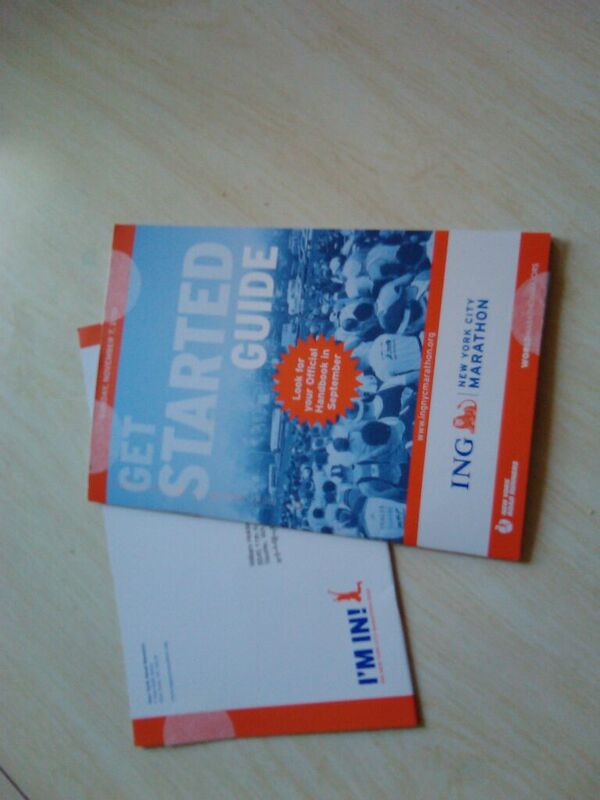 Getting the NYC Marathon "Get Started Guide" in the mail, and knowing it was really going to happen! August plans -- well, obviously more running. The mileage starts going up, with a 10-miler happening towards the end of the month, in preparation for the half marathon in early September. 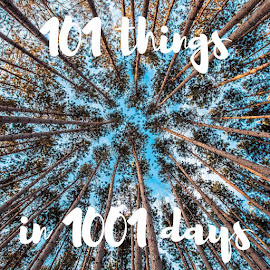 I need to get us back on a schedule -- NYC is less than 100 days away! Since this is our year of Seafair, of course we had to do the Torchlight Run. Originally planned as a teambuilding event... for a team that no longer exists. So I was glad to have Wil as a running buddy. Here's one thing I learned. If you go for a bike ride and spend the day in the sun drinking a couple of beers, you may not be at your best for an evening run. It was rammed -- over 5000 runners in a city block -- and we had to climb over a fence to get into the starting corrals. It stayed packed for the first several blocks -- past the park, up the road, and a few blocks... until, with a roar, we hit the parade route. Kinda fantastic to run down a road lined with cheering folks, little kids standing up to be high-fived, feeling a bit like a rock star. This euphoria lasted for a few blocks... until I looked a block or so ahead and saw a man running at full speed, shouting "GET OUT OF THE WAY!!!". Now, I had looked at the course online. I knew that the 5K was an out-and-back. But I didn't really think about how fast the leaders would be going, and that they would have long since turned the corner. And I should point out that I wasn't alone -- in fact, the entire width of the street was taken up by people running south... except for this lead pack of 3 people running north. We shot over to the left, giving the leaders plenty of room, but others weren't as fast. I hadn't even seen the cones in the middle of the road. Oops. I was actually most worried about the little kids, who would have been smack in their path, but facing the other direction. Anyway, we ran along the parade route, trying to avoid the oncoming crowds. The turnaround was well marked, but somehow a lot of people missed it. Still, it was much more fun once the 5K folk had turned back, so we could run along the whole route. Who doesn't love high-fiving strangers? We ran down the hill toward the Viaduct -- fantastic in the evening. One lowlight -- at the water stop on top of the Viaduct I grabbed a big cup of Nuun... which apparently doesn't agree with me. About 5 minutes after drinking it I feared I would hurl. (Yeah, well, it wouldn't be the first time I lost it during a race!) So I just slowed down a bit more until I felt better. We ran through the tunnel (why does everyone always speed up in a tunnel? ), then out, around a corner, and a sprint to the finish. There was a huge bottleneck at the chip collection point... and huge huge lines to get into the beer garden (beer p-patch?). So we grabbed some goodies and headed home. Overall, a fun race -- great to run on the parade route, great to run on the viaduct, fun to see so many people in costume, fun event shirt (even if it wasn't the "pirate tuxedo...". Not sure I need to run it again, but I'm glad to have finally run Seattle's classic running event.